Afghan, Persian and Turkish Kilim Rugs are the most ancient rugs known in the history and has been enormously used by the royal and big homes in different ways. Kilims include one of the most unique and antiques designs, shapes with the superior weaving's you have ever seen in your life. The designs of kilims generally include symmetric patterns and other different emblematic shapes. This artistry of constituting the kilims has been taken from the different nations like Egypt, Turkey, and Afghanistan and so on. The type of designs, a particular kilim have, fabrics used in it all depends upon the art works of the particular nation. These beautiful Kilims are the best flooring arts for your home. Kilims are available in different sizes, the most preferred sizes lie in between 4X6 to 6X9 or around. Purchasing of over sized kilims according to your home can be a wrong selection as it will be expensive for you and also diminish the quality of your floors and other main components of your home. 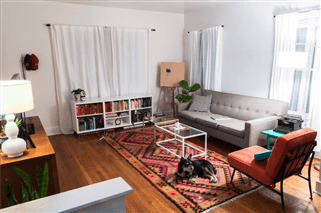 Afghan, Persian and Turkish Kilim Rugs can be placed anywhere any your home, as living room is the principal area in your home, you can keep it here, in center of the furniture's, around the center table etc. Many of the creative thinkers also locate Kilims in the center of the living room's wall as an artwork scene. Right locations for the placements of these kilims matters a lot in home decorations, a poor selection of the location can decrease the overall charm of the presence of kilim.